Magnabend™ is a new concept in sheetmetal forming which gives you much more freedom to make the shapes you want. 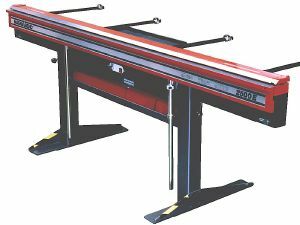 The machine is very different from ordinary folders because it clamps the workpiece with a powerful electro-magnet rather than by mechanical means. This leads to numerous advantages over standard folding machines & press brakes. Contact us for options, price & availability. Technical schools, High schools, Light industry. Schools, Apprentice training, Light industry. Industry, Support workshops in institutions, Tech schools.